Carl Volker has a problem. After waking one morning with a hangover to find his wife gone, he notices a crow stalking around his yard. As days go by with no word from his wife, more and more crows gather. Frank Hill is sheriff in the seemingly pleasant town of White Creek. Up until recently, his job has been fairly mundane but after a recent spree of murders, bodies are beginning to pile up and Frank has no clue as to who the killer may be. White Creek has kept its secrets hidden well over the years but the sins of its past are coming to light; the town harbors an evil and the bindings that keep it in check are beginning to unravel. As Frank and Carl's friendship is tested and their destinies are revealed, the dead accumulate while the crows watch and The Calling begins! 5.0 out of 5 starsEntertaining & Creepy! The Calling is a dark fantasy/horror novel that drew me in immediately from the start. Set in a small, remote town where old long-buried secrets are awakening, the story pulsates with an eerie Gothic creepiness. The chilling atmosphere in the otherwise tranquil town perfectly sets the tone for the unexplained events that unfold in a rapidly escalating series of strange and gruesome deeds. 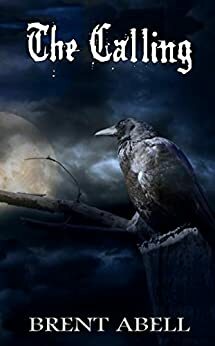 I was captivated by the quirky small-town personalities, and was kept enthralled wondering about the ever-multiplying crows that begin haunting Carl, a middle-aged, depressed farmer. The story was fairly straight-forward and entertaining but, for me, the best part of the tale was the shivery, dark, foreboding mood that permeated Carl’s farm and the town; compelling imagery that kept me reading! 5.0 out of 5 starsWOW! AWESOME BOOK! This book grabs you by the throat and never lets up. Evil has lurked in the town of White Creek since it was founded yrs.ago. It has been lying dormant for years until Carl Volker releases it and murders start piling up. Now Sheriff Frank Hill has to stop the evil from taking over the town and more murders from happening. There are protectors who have fought off the evil before and now it's the Sheriff's turn but it will be emotionally devastating for him. Can he fight through his emotions and the feelings he has for Carl or will the evil win this time. I'm really looking forward to reading more about White Creek and it's people.